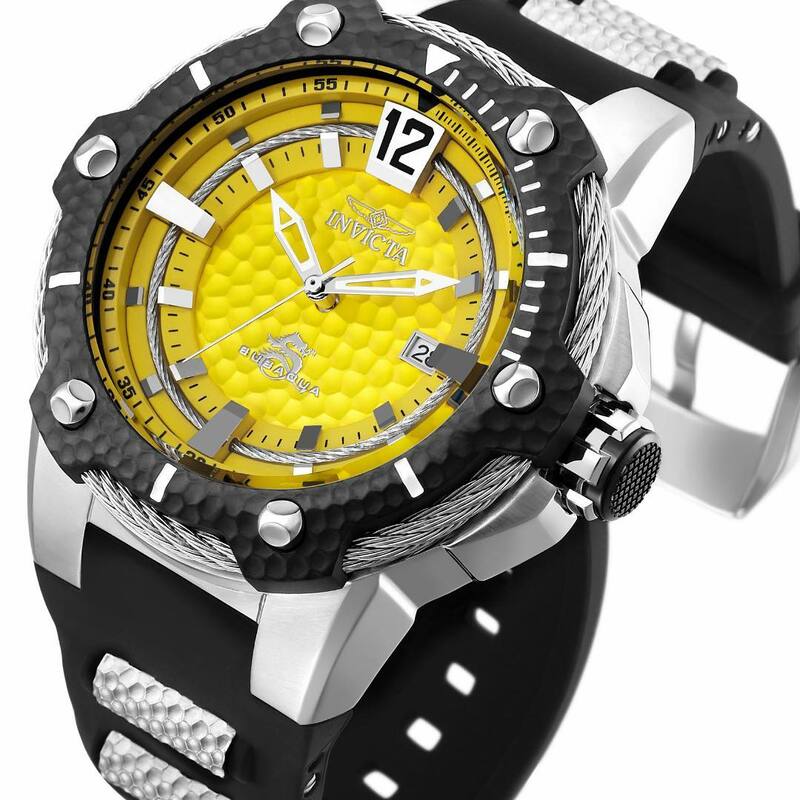 Invicta is a company first founded by Raphael Picard in 1837 in the city of La Chaux-de-Fonds, Switzerland. The city of La Chaux-de-Fonds is widely known as the cradle of modern watchmaking and its’ main production is still focused on watchmaking. Even though the modern Invicta watches brand has nothing to do with La Chaux-deFonds anymore, some other brands still based in that little Swiss city include Girard-Perregaux, Corum, JeanRichard, and Ebel. 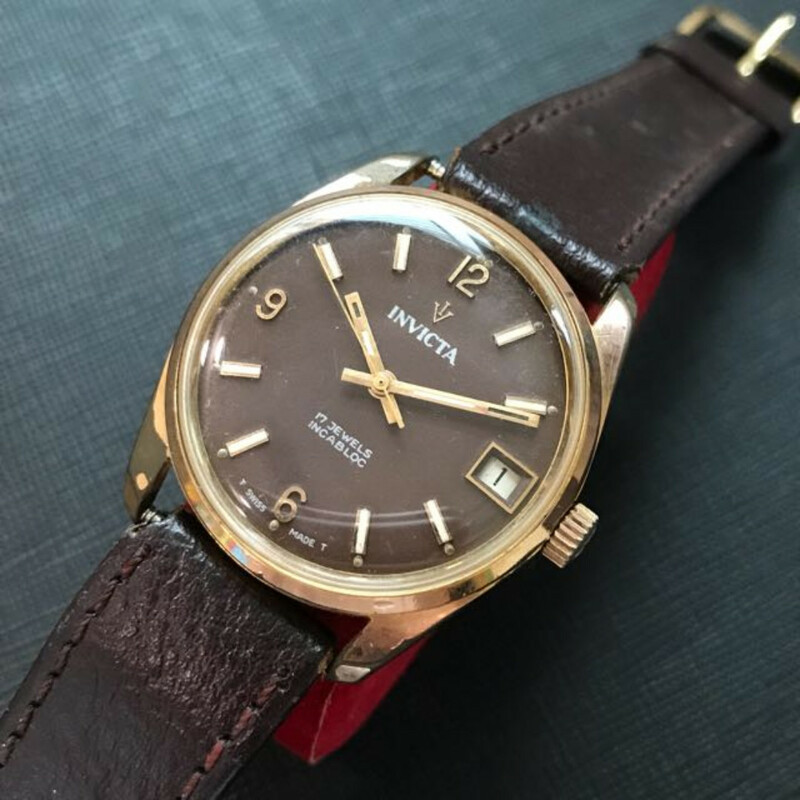 Invicta watches were brought to The United States in the 1940s and were traded under the names Seeland Watch Co, Eno Watch Co, and Invicta-Seeland Inc – rendering the history of the company is a little hazy. The Invicta company in its’ former form ceased to exist during the quartz crisis and the brand rights were later acquired and put to use by a company based in Hollywood, Florida. A vintage Invicta watch is highly valued. That is why the watches that Invicta produced between 1900 and 1960s currently go for about 1000 to 3000 dollars when they’re in working condition and have been kept well. 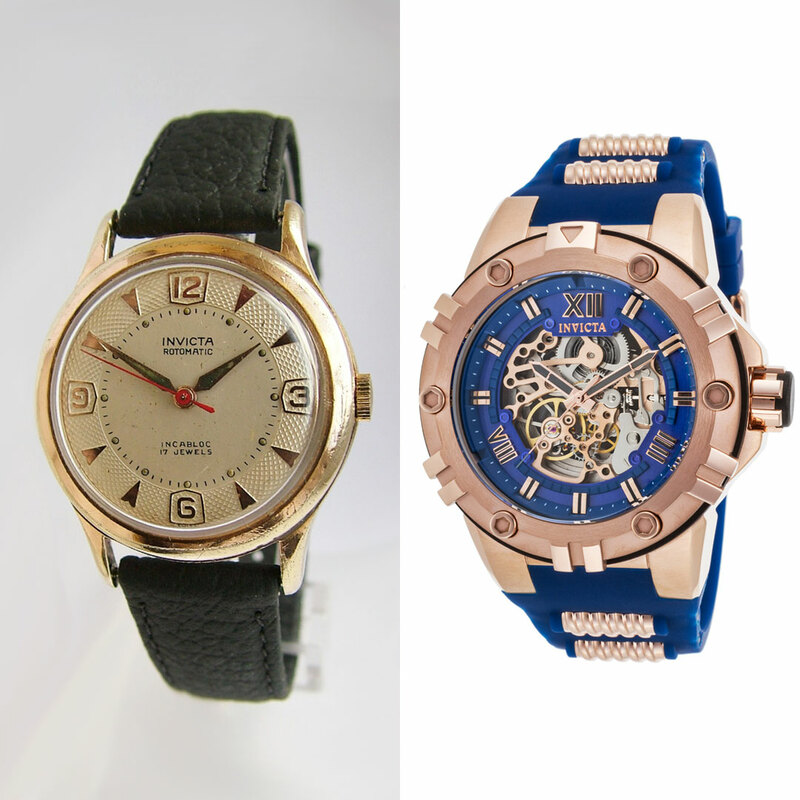 These vintage watches have real swiss movements and are often housed in 18k gold cases. The modern Invicta counterparts, however, bring a completely different are made with robust industrial technologies and the brands’ current line is composed of about 90% Chinese and Japanese parts and movements. Chinese and Japanese parts are typically(but not always) considered of sub-par quality when compared to swiss components. How long do Invicta watches last? When it comes to the quality of Invicta watches, it’s surprising enough that the company can sell mechanical watches at such cheap prices and still make a profit – but somehow, they pull it off. According to Amazon reviews, the current life-span of a typical modern Invicta watch ranges between 1 to 5 years. The most common complaint is that the rubber straps fall apart after a year or two of wearing. People also complain about the decorations of the strap failing. That is why their watches with metal bands are a safer bet because they tend to last longer. Another frequent issue is with the dial and the hands of the watch. Some people claim that the luminescent lumen of the watches is too weak and others complain that the hands have fallen off. It’s definitely worth it to read the comments section on Amazon.com before ordering. All things considered – the quality of an Invicta watch can be compared to that of any other mass-produced Chinese watch on the market today. One must keep in mind that Invicta is more of a marketing company than a watch company. Besides their robust and roaring watch designs, the way they create loyal fans and organize events is an art in its own. When it comes to how much Invicta watches cost, their current models go from $40 to $2000. Most models stay between the $80 to $280 area, though. Vintage Invicta costs more because of the different production methods and time-tested quality. Where are Invicta watches made? Invicta watches are mostly made in China or Japan. The movements of some models are swiss. Invicta is a brand owned by Invicta Watch Group and the groups’ portfolio includes other watch brands such as TechnoMarine, S. Coifman, Glycine Watch Group, and Imperious. The Invicta Watch Group acquired the Invicta trademark and brand rights from a company that was founded in 1837 and made watches until the 1980s, before going bankrupt due to the quartz crisis. Where to buy Invicta watches? Their watches can be bought from their official website, https://invictastores.com/. To repair your Invicta watch, you have two options. When you take your watch in, a typical repair takes about 90 days. You can find more information on the process on this official page. If you decide to do it yourself, however, you can check out Chrono24, Ebay or Amazon for the necessary parts and refer to my article about the five tools you need to start watchmaking and repairing at home.